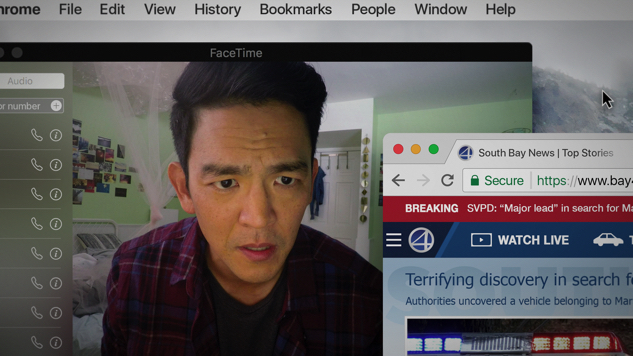 John Cho’s Searching character, David Kim, finds himself confronting that question at the most gut-wrenching possible time: after his 16-year-old daughter, Margot (Michelle La, Mom), has gone missing. Though a detective (Debra Messing, Will & Grace) takes the case, investigators come up empty … until David decides to search the one place no one has checked, where so many modern secrets are kept: his daughter’s laptop. The entire film is presented through today’s array of screens and social media platforms—Facebook, YouTube, FaceTime and so on, as seen in the tense, almost claustrophobic trailer—as David scrambles to piece together his daughter’s digital identity, discovering where—and who—she is before it’s too late. Searching opens on Aug. 3. Watch the first trailer below.